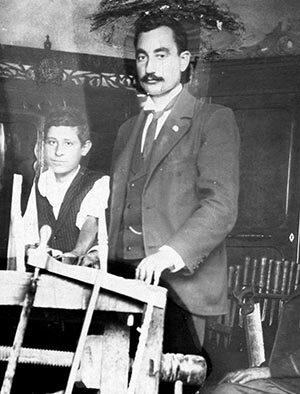 In 1903, Nicolis Georgiou Marangos, a carpenter from Famagusta, Cyprus, had a vision. His love for wood and his mastery of working with it inspired him to establish a timber business. Today, four generations on, we celebrate this vision and presence in the construction industry for over a century. Later, under the management of Mitsos Marangos, son of Nicolis, N.G. Marangos & Son Ltd flourished into one of the biggest and most experienced companies in the field of timber and steel. With the Turkish invasion of Cyprus in 1974, Nicolis’ timber business was left behind in Famagusta. But not his spirit. The company opened another timber yard in Nicosia, under the same name, at 21 Klimentos Street, and allowed Nicolis’ dream to continue. The company expanded its activities in the fields of parquet, cladding and a wide variety of other materials, winning prestigious projects and acquiring greater experience in the field of construction. 100 years of constant learning and respect for wood, Marangos’ expertise and knowledge is passed on to generations to come. Knowledge on wood varieties and their behaviors allow us to consult our customers responsibly, offering appropriate advice on needs and expectations. In 2003, the company moved to its privately owned offices and warehouse where it celebrated its centennial birthday. On behalf of the management, staff and associates, we would like to continue Nicolis’ vision of superior service and product excellence; qualities that have accompanied our name since the first day he started.